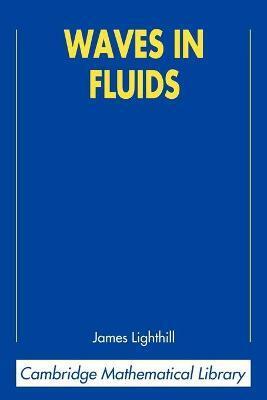 A comprehensive textbook in which the author describes the science of waves in liquids and gases. Drawing on a subject of enormous extent and variety, he provides his readers with a thorough analysis of the most important and representative types of waves including sound waves, shock waves, waterwaves of all kinds, and the so-called internal waves (inside atmospheres and oceans) due to intensity stratification. Emphasis throughout is on the most generally useful fundamental ideas of wave science, including the principles of how waves interact with flows. This standard work on one of the great subdivisions of the dynamics of fluids is lucidly written and will be invaluable to engineers, physicists, geophysicists, applied mathematicians or any research worker concerned with wave motions or fluid fllows. It is especially suitable as a textbook for courses at the final year undergraduate or graduate level. Preface; Prologue; 1. Sound waves; 2. One-dimensional waves in fluids; 3. Water waves; 4. Internal waves; Epilogue; Bibliography; Notation list; Author index; Subject index.